Since the telephone was first invented, communications technology has advanced at ever-increasing rates. 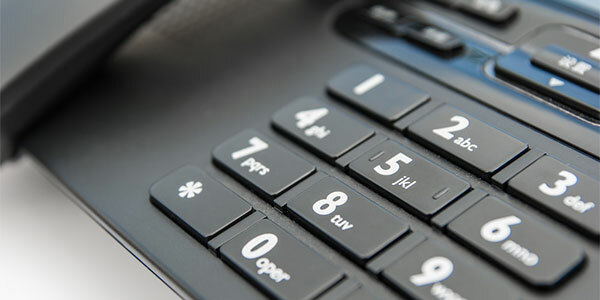 And with the advent of things like the internet, call recording, auto-dialing, business VoIP, and other office phone system features, if your company is still using the same business phone system you had installed in the 1980’s or 1990’s, or even the 2000’s, it’s definitely time for an upgrade. At Elite Voice & Data Systems, we’ve been providing businesses like yours throughout Baltimore, MD and the surrounding areas with the latest in office phone systems, including Voice over IP for businesses and DSX systems. We provide you with a wide range of phone system installation services including phone system cabling, office phone systems programming, business phone system expansions, and phone system repair. Elite Voice & Data Systems delivers what small and growing businesses need most in today’s competitive environment, offering comprehensive services for office phone systems, including business VoIP phone systems in businesses throughout Baltimore, MD and beyond. Voice over IP (VoIP) is the next generation of telecommunication technology. Unlike landline office phone systems that use your local phone service, VoIP systems use the internet to transmit everything from calls and voicemail to faxes and provide your business with increased flexibility whether you have one location or many. This is an enterprise-grade family of IP desktop phones designed to make voice communications effective and productive. These phones feature the most comprehensive, best-sounding and most interoperable IP phone solutions for businesses of all sizes. The NEC SL 1100 is a unified communications solution that allows you to take advantage of the latest productivity-enhancing IP applications that can deliver increased performance throughout your organization. We Install DSX IP keysets on-premises in a managed network, or off-site in a remote office. Choose between two types of DSX IP extensions: the 34-Button Backlit Display and the 34-Button Backlit Super Display. We have nearly 20 years of experience in office telephone systems installation and service. We focus our services on small to medium-size businesses. We troubleshoot your business phone issues and solve your problems expediently. We sell and service most phone systems and specialize in Avaya PARTNERS & NEC phone systems. We manage and take care of your VoIP and DSX systems. For office phone systems and business VoIP systems and service with zero hangups, call on the experts at Elite Voice & Data Systems today!